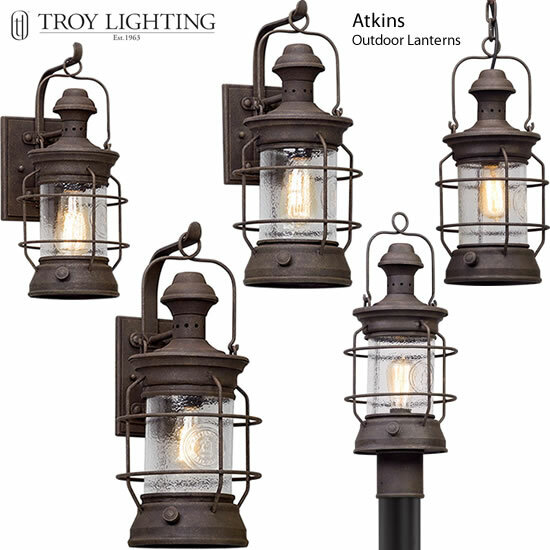 This collection of outdoor lighting reproduces the look of 19th century railway lanterns. 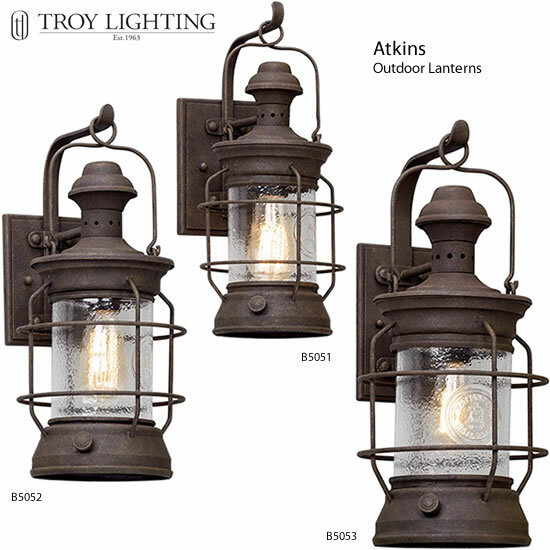 The vintage looking glass is molded in a reproduction of lantern glass. 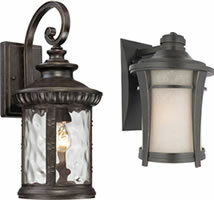 The lanterns have all of the features of the originals, even down to handle and the wick winder. 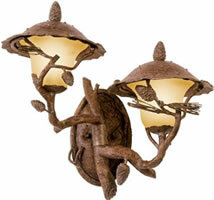 The glass is protected by a cage and t Centennial Rust finish is ideal to complete the look. 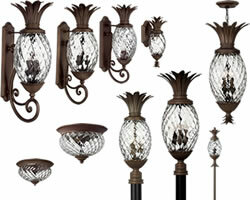 Width/Diameter 8" x Height 17.5"
Width/Diameter 8" x Height 21"